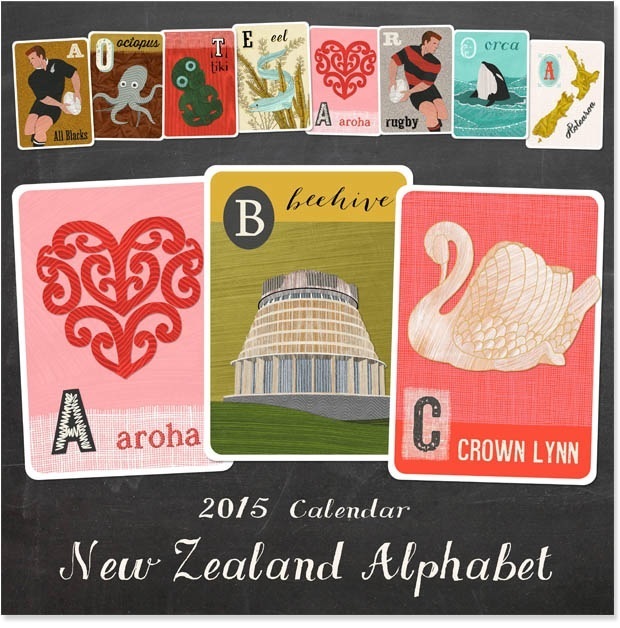 After the success of the NZ alphabet frieze, LIVE WIRES NZ LTD have released a 2015 Kiwi ABC calendar by Wolfkamp and Stone, using the illustrated letters from the frieze. 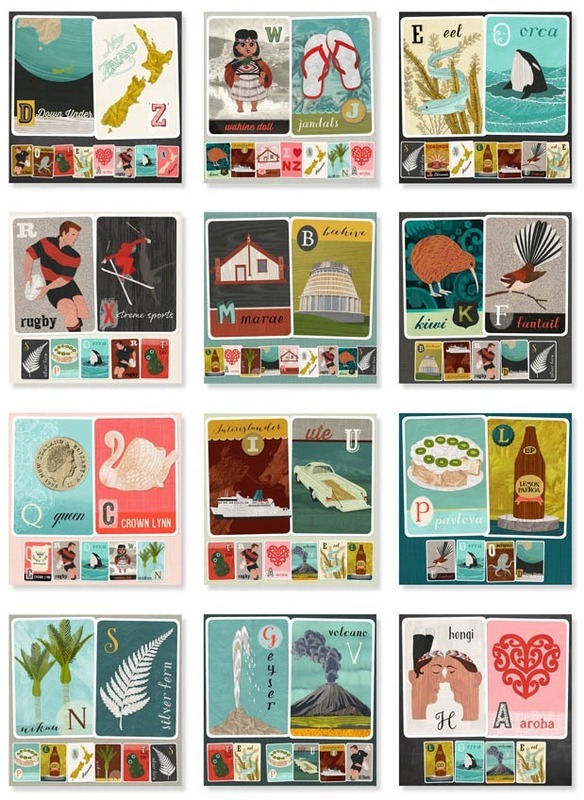 It was serendipitous that we found the NZ ABC flash cards were in paired themes, e.g: two birds, two plants, two sports etc, so we used this as a way of laying out the pages. We couldn’t use all 26 letters in a 12 page calendar so used the other letters to spell out the theme under the two large cards selected. You may have noticed we added some new vowels and letters to avoid double ups. Each page is 30 cm square with a black and white gridded month page below with nice big date squares to give plenty of room for jotting down notes. 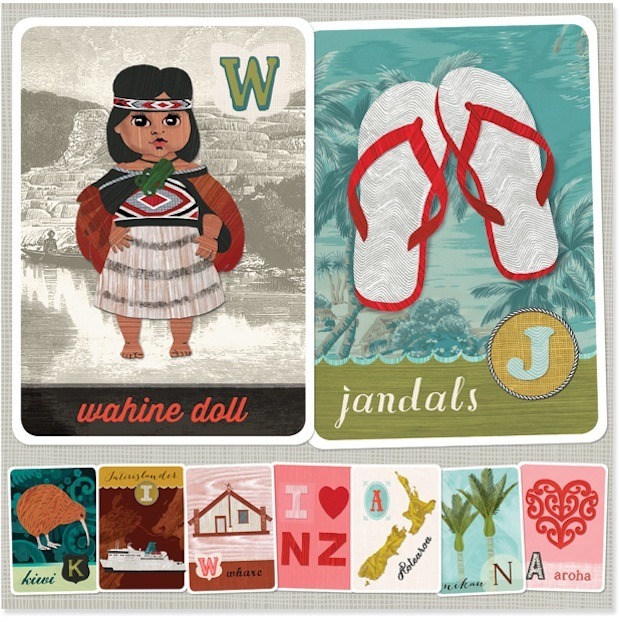 The calendar also includes NZ holidays. For all sales enquiries and to find a retailer near you, contact LIVE WIRES NZ LTD.